‘London, that great cesspool into which all the loungers and idlers of the Empire are irresistibly drained.’ A Study In Scarlet by Sir Arthur Conan Doyle. So, it’s no great surprise that Britain’s capital city has lent itself to its own particular brand of noir, from the likes of con man Harry Fabian and his fellow hustlers in Gerald Kersh’s brilliant 1938 novel Night and the City, to George Harvey Bone, the murderous alcoholic in Patrick Hamilton’s marvelous Hangover Square, (1941). Outsiders abound, of course, unsurprisingly so in Colin Wilson’s Ritual In The Dark (1960), a ‘modern day’ Jack The Ripper tale which would be called a period piece now. It’s a kind of British Crime and Punishment which takes place in a sexually and socially repressed 1950’s Britain and a vividly drawn Soho. Written in 1949 but published in 1960 it is distinctly pre- The Beatles (pre rebellious youth) and post WW2. It is also a distinctly British exploration of existential extremes featuring a murderer who kills as a creative act, a positive rebellion against the supposed unimportance of his existence. Ritual In The Dark -Post war angst in a world where ‘we’ve never had it so good’ just isn’t good enough. 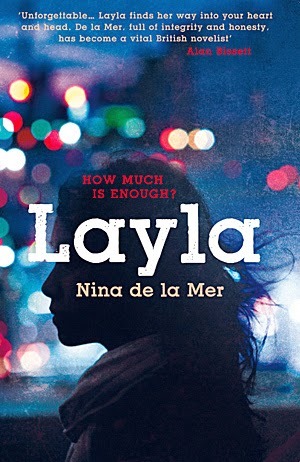 More up to date is Layla by Nina de la Mer, a gripping and gritty slice of London noir about the downward spiral of a suburban girl who moves down the smoke for a better life and becomes a stripper. And there's also Richard Godwin’s One Lost Summer, a sweltering, intense noir set among London’s rich and powerful. And plenty of other crime writers have explored London’s dark side too such as Derek Raymond, Charlie Higson, Benedict J Jones and Cathi Unsworth. Paul D. Brazill is the author of A Case Of Noir and Guns Of Brixton. He was born in England and lives in Poland. He is an International Thriller Writers Inc member whose writing has been translated into Italian, German and Slovene. He has had writing published in various magazines and anthologies, including The Mammoth Books of Best British Crime 8,10 and 11, alongside the likes of Ian Rankin, Neil Gaiman and Lee Child. He has edited a few anthologies, including the best-selling True Brit Grit – with Luca Veste. His blog is here.